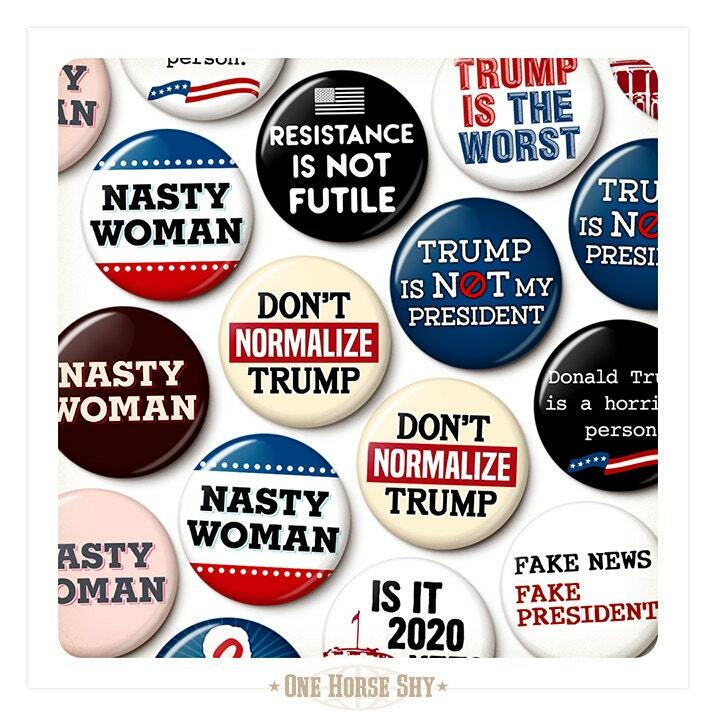 All political/anti-Trump buttons now available in these discounted bulk quantities! 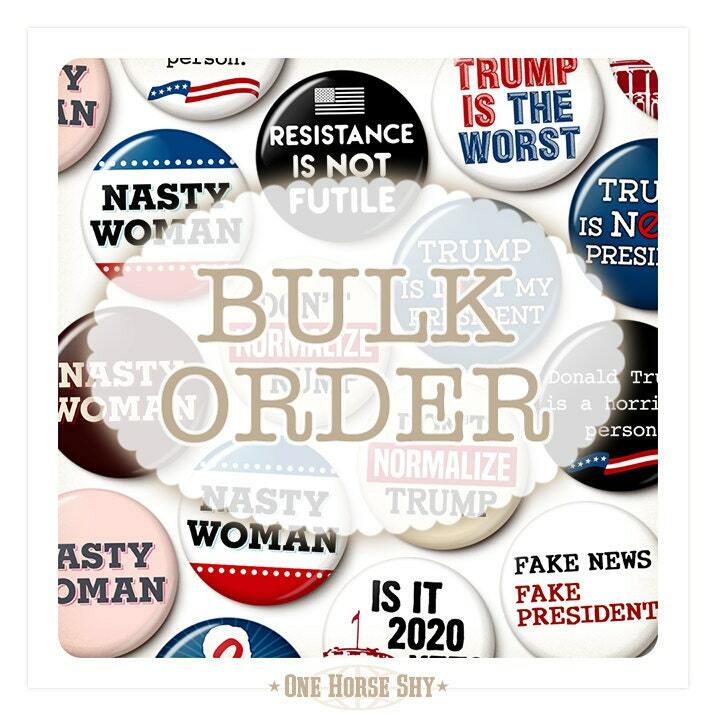 Choose 25 buttons, 30 buttons, 50 buttons, 75 buttons, 100 buttons, or 250 buttons of any OneHorseShy designs shown here in my Etsy storefront or on my main OneHorseShy website. Choose all one design or any combination of different designs -- please specify your design choice(s) by including a note at checkout or by convo in conjunction with your order. 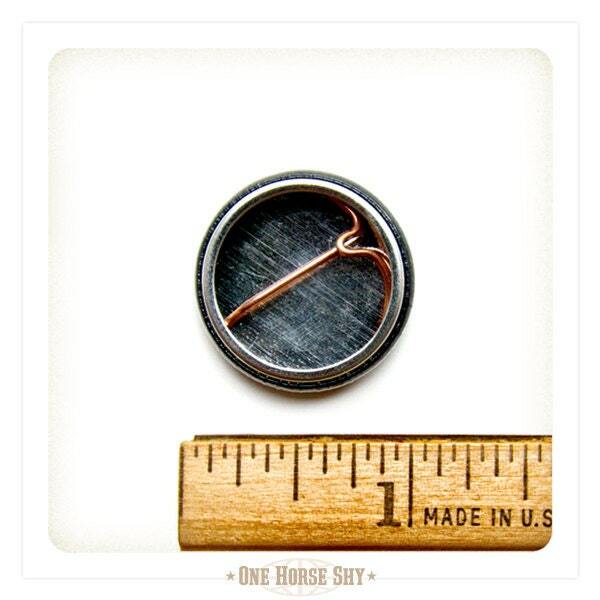 -- Handmade by OneHorseShy in beautiful Savannah, GA. All button parts are made in the USA of US steel. -- In stock & ready to ship in 1 business day. Larger bulk orders are custom made: orders of 200+ total items are ready to ship in 2-3 business days.